I am so delighted to share coloring pages. 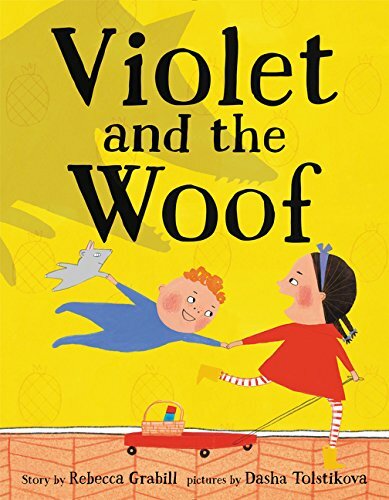 Some were lovingly prepared by me by running a heap of filters in Photoshop, then painstakingly cleaning up stray areas (I’ve since learned how to do it in Illustrator - so much easier), and some by the marvelous illustrator, Dasha Tolstikova who illustrated Violet and the Woof. You’ll never guess who did which pages. Um, yeah, the ones with consistent outlines are mine (not really). I’ll share Dasha’s first. She purposely left the mouths off Violet and Peter so that YOU can draw any expression you like! Is Violet scared? Is Peter happy? How is a happy mouth different from a scared mouth? A fun exercise to do as you read the book is to look at Dasha’s drawings and see how she creates emotion. Look at the eyes, the mouths, the eyebrows. How can she communicate so much with such simple shapes? Download the coloring page for Violet and Peter here! Download this adorable WOOF coloring page here! Download the Violet and the Woof Cover Coloring Page! Download Violet and the Wolf?!? Coloring Page. Download Violet and her Neighbors Coloring Page. I would LOVE to share finished drawings on my online Young Artist Gallery, so feel free to send them to me at rebeccawritesbooks at gmail dot com!